After the mysterious assassination of a well-known Palestinian engineer and academic in Malaysia over the weekend, Israel's defense minister issued a statement denying accusations that the Israeli spy agency Mossad was behind the killing. Dr Fadi Mohammed al-Batash, 35, had been living with his family in Malaysia for the past ten years and was a university professor in the field of electrical engineering. Batash was further recently employed by the Energy Authority in the Gaza Strip and had long held a position as lecturer at the British-Malaysian Institute at the University of Kuala Lumpur, according to Israel's YNet news. Israeli officials have recently accused him of being a rocket expert and downplayed his advisory work connected to Gaza's civilian infrastructure. Multiple international reports indicate that as Batash made his way from his home in Kuala Lumpur to a nearby neighborhood mosque for dawn prayers sometime around 6am, a motorcycle drove by and two unidentified men unleashed a volley of ten shots, at least four of which hit Batash in the head and body, killing him on the spot. Witnesses say the killers had European features. 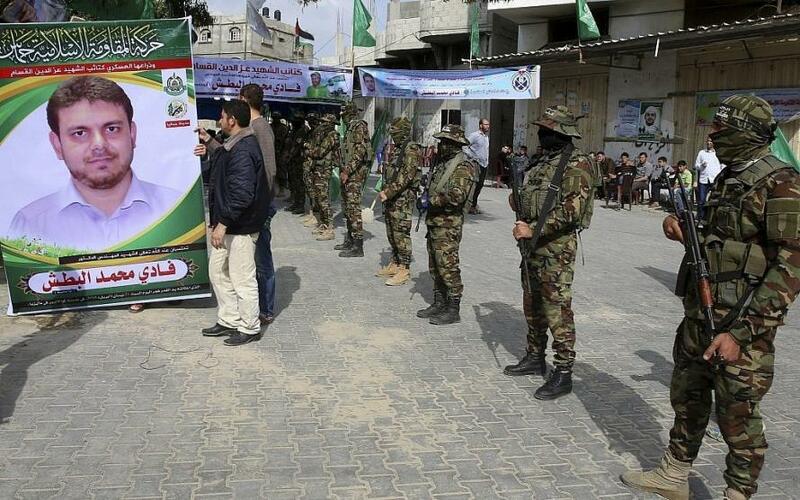 Dr Fadi Mohammed al-Batash, 35, is shown in a poster displayed during a Hamas rally. Image source: AP via Times of Israel. Importantly, Malaysian authorities immediately classified the crime as a "targeted assassination" as others had been present at the scene but only Batash was killed. Security cameras had reportedly captured footage of the killing, and police say they have evidence that the killers had followed the Palestinian scientist for up to twenty minutes beforehand. Hamas immediately claimed the victim as one of their own, calling him a "martyr" but stopping short of directly pointing blame at Israeli intelligence. However, Hamas affiliated media groups did make the accusation along with Batash's own family, who issued a statement saying, "We accuse the Mossad of being behind the assassination." 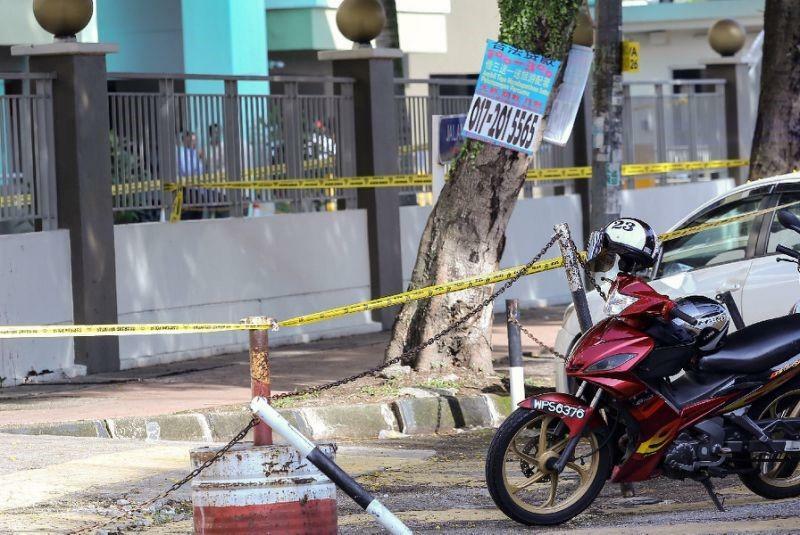 According to Malaysian media reports, the assassins, who were described by witnesses as "white men" with "European features," were driving a powerful BMW 1100cc motorbike. Security camera footage showed they waited for Albatsh for 20 minutes until he arrived at the scene. "Preliminary investigations found four gunshot wounds on the victim's body. Two bullet slugs were found at the scene of the incident," Kuala Lumpur police chief Mazlan Lazim said in a statement. The police said it believes "this was a targeted killed and not a terror attack, because there were other people at the scene but the assassins focused only on (al-Batash)." Israeli officials were quick to point to Palestinian factional infighting as the likely reason for the killing. And Defense Minister Avigdor Lieberman emphasized Batash's role in engineering Hamas rockets, telling Haaretz: "He wasn't involved with improving the electricity grid or infrastructure and water. We have heard the announcements by the heads of the Hamas taking responsibility for the man, explaining he was involved with the production of rockets, with improving the rockets' accuracy." Lieberman added further, "A settling of scores among terrorist organizations, among terrorists, among various factions, is something that we see from time to time. I assume that's also what occurred in this case." Meanwhile, Palestinian activists have pointed to a long history of Israeli assassinations of Palestinian, Iranian, and Syrian scientists, engineers, and notable figures living abroad. One recent instance involved a Tunisian drone expert who was accused of designing weaponized drones for Hamas. His bullet-riddled body was found in his car near his home in Sfax, Tunisia in 2016. Some of the evidence left behind included rental cars and guns equipped with silencers. Another notable headline grabbing operation, reportedly by Mossad agents, occurred in 2010 and resulted in the assassination of a top Hamas commander who had checked into a high end Dubai hotel after flying from Syria. An eleven man Israeli hit squad had entered the hotel while dressed in tennis gear and carrying tennis rackets, and were later reported to be traveling on fake Irish and French passports. After conducting surveillance the Mossad agents got Hamas' Mahmoud al-Mabhouh to open his hotel room door and quickly suffocated him without arousing suspicion from other hotel guests. By the time the body was discovered, the assassins had flown out of Dubai to various locations around the world and were never seen again. And in 2015 a secret document revealed by The Intercept as part of the Edward Snowden leaked NSA archives confirmed that Israeli agents had assassinated a top Syrian general and personal aide to President Assad in 2008 while the general dined at his family home near Tartus, along the Syrian coast. The daring operation involved Israeli naval commandos and snipers targeting Gen. Muhammad Suleiman's house from the waters of the Mediterranean and shooting him in the head and neck. Israel considered him responsible for coordinating weapons and supplies between Iran and Lebanese Hezbollah, as well as overseeing an alleged nascent nuclear development program at Syria’s Al Kibar facility which had previously been bombed by Israeli jets. And six months prior to Syrian General Suleiman's murder, a top Hezbollah officer was killed by a joint CIA-Mossad operation in the heart of Damascus. According to former intelligence officials who confirmed the assassination plot to the Washington Post, a car bomb planted near a Damascus downtown restaurant instantly killed Imad Mughniyah - Hezbollah's international operations chief who was believed to have masterminded several terror attacks targeting Americans. So in spite of Israeli officials' current vehement denials, recent history suggests that Malaysian-based Fadi al-Batash's targeted killing was very likely yet another Mossad or other allied intelligence service hit.